When you’re ready to start a new business, you’re actually standing at a crossroads with a nearly infinite set of divergent paths. Do you follow the advice of a trusted guide? Do you adhere to rigid steps outlined in a best-selling book? Do you get overwhelmed and just wing it? With so much at stake, it never hurts to see what’s produced success for others in your place. 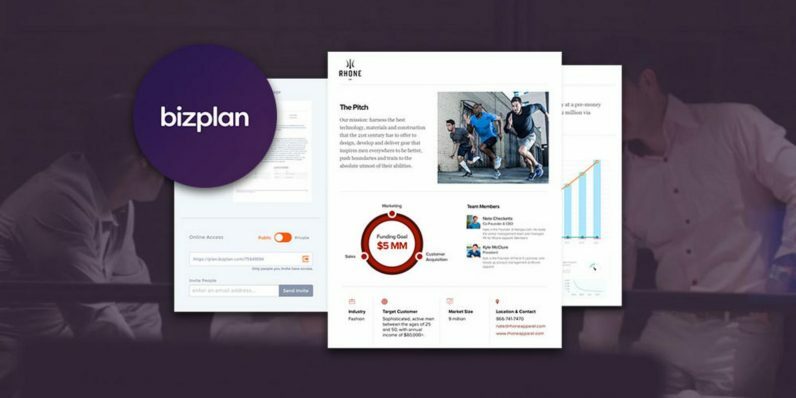 As you scout sources like Product Hunt, AppSumo, Startup Savant and others, you’ll find plenty of positive reviews for Bizplan, one of the true breakout business planning tools around. Now, you can land lifetime access to Bizplan Premium services at over 90 percent off, just $49, from TNW Deals. And there’s a reason Bizplan gets so much love from those trusted outlets. Bizplan works by breaking down all the most vital new business considerations into manageable bite-sized tasks. Enter your important stats in Bizplan’s drag-and-drop template system and Bizplan will give you easy-to-follow representations of where all your time and money should be going. Bizplan allows you to create a timeline for getting your business up and running that works for you along with metrics for tracking your progress. Build salary forecasts, project your revenue, then send your plan to others for collaboration and feedback. You can even enlist Bizplan fundraising pros to troubleshoot your plan or offer tips on your direction. A lifetime of Bizplan access usually costs almost $3,000, but with this limited time offer, you can have Bizplan ready to whip any business into shape for only $49.